Fans contributions: Alternate maps, variants, etc. 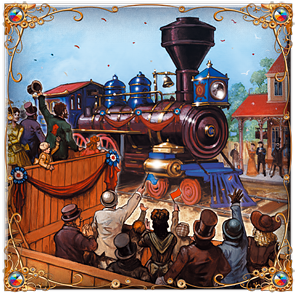 Since it has been created, Ticket to ride created an itch for many people to create boards for it. Do you want to see the area you live in on a board? Maybe a fan already created that map for you... We are glad to share here some contributions that were gathered year after year... Thank you to a lively (and lovely) community! Important Note: These variants are not "official", and were not validated by Alan Moon or Days of Wonder. Therefore we cannot guarantee their playability, and players will use them at their own risk.